Time to choose a setting for our Susannah blocks! Our Susannah blocks are complete. Click here for the tutorial if you missed it. Here we investigate a number of straight and on-point layouts, mindful that 'Susannah' is a very simple pattern. Sometimes less is more. The background is a bit lighter than the sample completed in our tutorial. This makes the images easier to understand. The number of blocks in the rows and columns is under each image. The images are all the same size. In real life, these designs are different sizes. 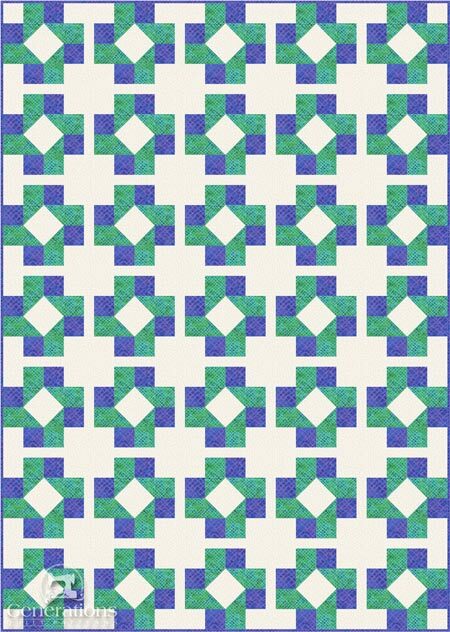 I removed the drawing lines from all but the first Susannah quilt idea so that it's easier to see the designs. We'll address the things you need to know to convert 'Susannah' to a scrap quilt. And finally, there's an image suitable for pinning to your quilt design board. 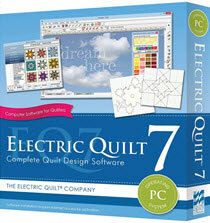 All of the illustrations on this page were designed using Electric Quilt 7 (EQ7), a quilt designing software program. EQ recently added a version for Mac users, so it doesn't matter if you're a PC or an Apple fan! This program makes it so easy to audition different colors and values with just a few mouse clicks. Rotate and flip the blocks with another series of clicks. I can't imagine going back to graph paper and colored pencils. Or worse yet—simply keeping my fingers crossed. Fabric is much too expensive! UPDATE: EQ's latest version is now EQ8, first shipped in 4Q17. I've purchased it and am using it going forward. I Love EQ! 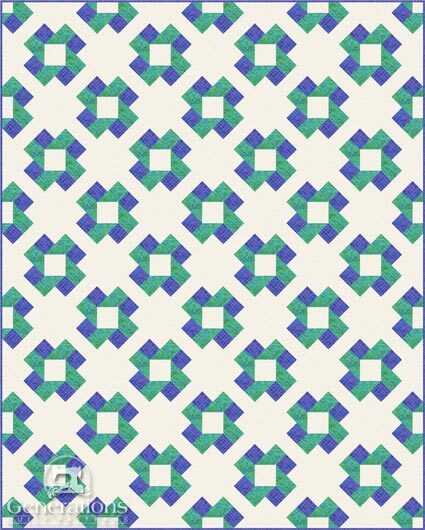 In this first Susannah quilt, the blocks are set edge-to-edge in a straight set. I've included lines between the blocks and patches to help you see both the design and the piecing lines. The design is symmetrical regardless of the numbers in the rows and columns. This would make a cute, quick baby quilt. The quilt below has a narrow, half grid unit wide, sashing between the Susannah blocks. For our 8" finished sample, that means 1-1/2" wide strips (1" plus 1/2" for seam allowances). .
Background fabric cornerstones complete the pattern. Adding a wider sashing strip (now 1 grid unit wide) and a border the same width gives our design a more 'modern' feel. Don't you agree? 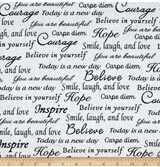 Cornerstones are cut from the background fabric. We've swapped the background cornerstones for ones cut from the darkest fabric. 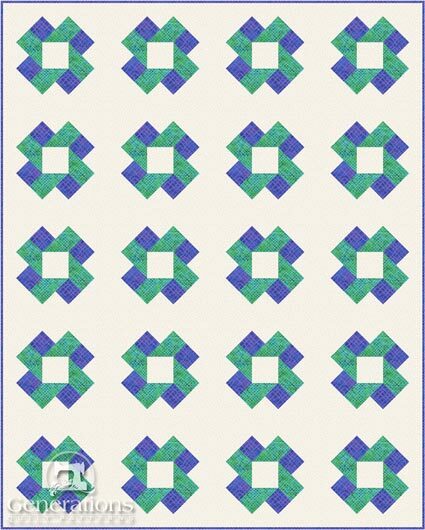 This gives the quilt design a more playful appearance. Our Susannah blocks are now arranged in an on-point layout. 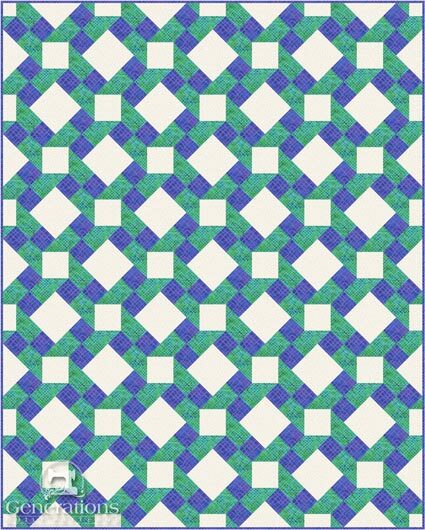 Usually this type of layout creates a more dynamic quilt design (in my humble opinion). 'Susannah' is very simple, very basic. Let's see if 'dynamic' translates into good design potential. Our first example illustrates an edge-to-edge setting. 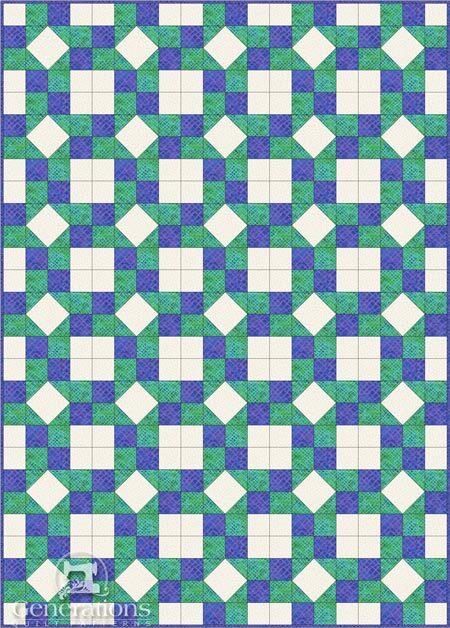 An plain alternate square provides lots of space for quilting. However, the resulting quilt design is a bit sparse for my taste. 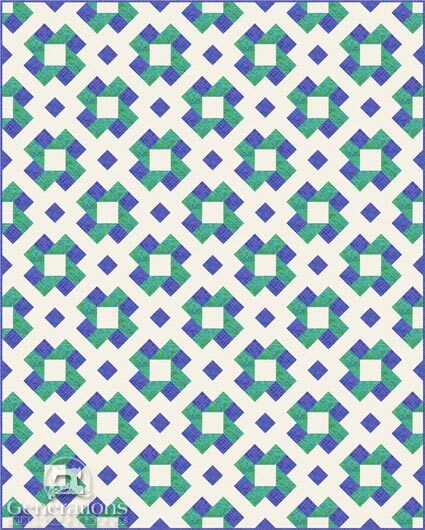 You'll need setting and corner triangles to complete this pattern. Click here to learn how to cut them. There's a cutting chart, too, to save you from the math. Now add a 1 grid-unit-wide sashing. 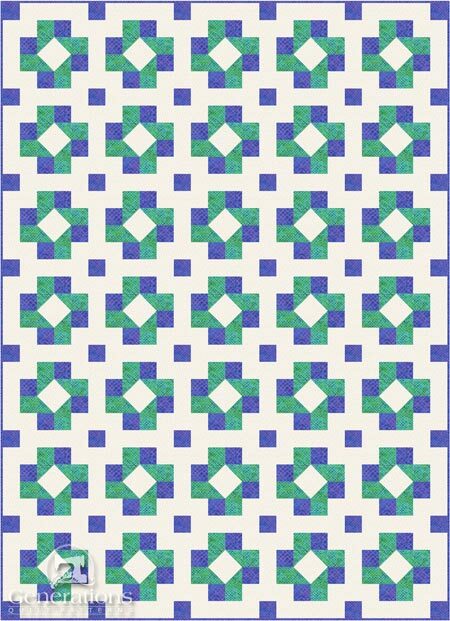 The ample background creates a lot of negative space which gives the pattern a bit of a modern look. This variation includes a dark cornerstone and the same background fabric sashings. There's less negative space for quilting. Of all the designs, do you have a favorite? Click here for the Susannah tutorial. 'Susannah' makes a terrific scrappy quilt, too! 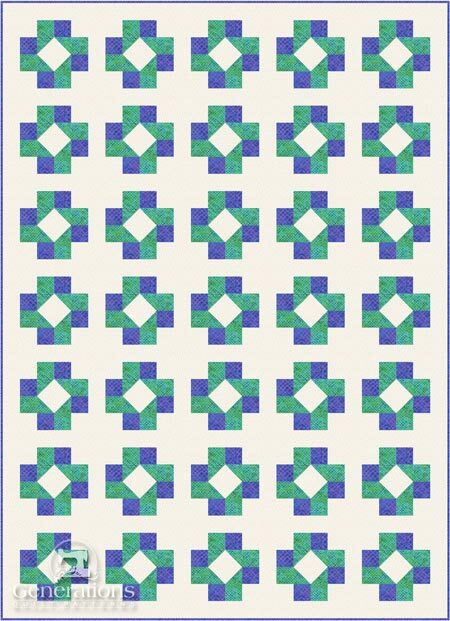 In fact, it's a perfect pattern for Bonnie Hunter's 'leaders and enders' treatment. That's when you do some of the sewing for a second quilt while you stitching the current one. Check out her books to learn more about his technique: Adventures with Leaders and Enders and MORE Adventures with Leaders and Enders. There's a secret to converting it to scrappy fabrics. You need good contrast between your background, medium and dark fabrics. Separate your mediums and darks into two piles. Step away. Does something seem like it's not playing nice with its friends in the pile? If so, get rid of it. If you come across one...and you're not sure. Guess what? You actually are sure. That uncertainty means it doesn't belong. Trust your instincts! Remember to pin these Susannah quilt ideas for later! ... the Fat Quarter Shop .